Loving pair of Black-necked Stork (akaJabiru Ephippiorhynchus asiaticus) drawing attention at Cattle Creek, noted flood point passing under the Bruce Highway just south of Ingham. Proud parents of two flighty youngsters, the adult pair bond with short dances when coming together after spending time apart fishing, or just standing around. Female (yellow eye) smaller than her mate. But has taken more fish when I've been watching. Not that he's impressed by her catches. Caught up with this Latham's Snipe (Gallinago hardwickii) by the roadside the other day. 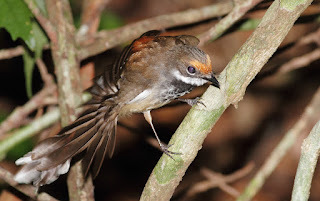 Also got two characteristic views of White-browed Robin (Poecilodryas superciliosa), at Jourama Falls yesterday. And this Lewin's Honeyeater (Meliphaga lewinii) at Wallaman Falls uncharacteristically paused long enough for another lucky double. 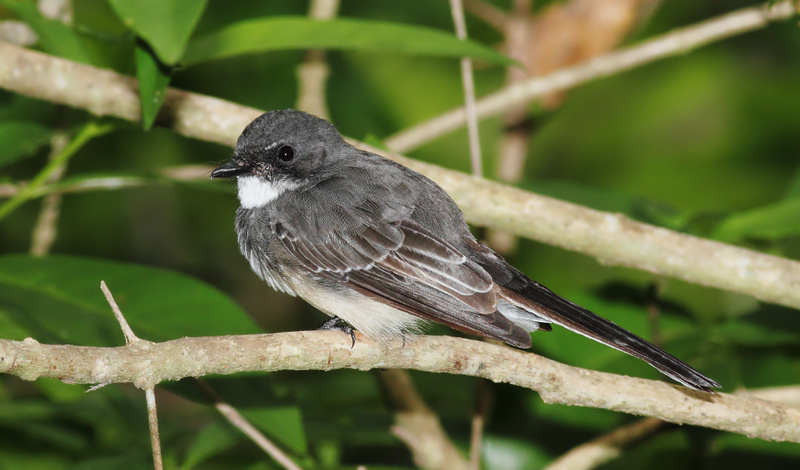 Rainforest offers enticing shelter from streaming summer rays, but shrouds most of its birds. Spent 10 minutes up Paluma Dam way yesterday begging this Rufous Fantail (Rhipidura rufifrons) to sit still. During same wander along the dam road, came upon Grey Fantail (Rhipidura albiscapa). Didn't seem to like flash, so pumped up ISO. Result: noisy picture of quiet bird. 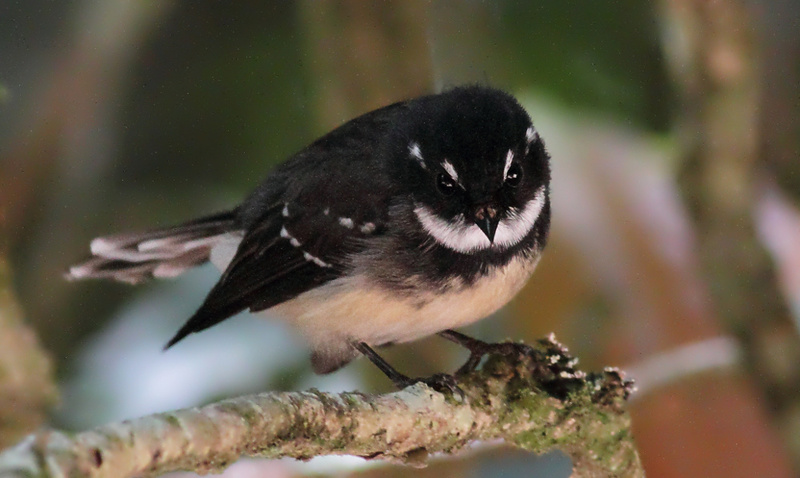 Unlike this Northern Fantail (Rhipidura rufiventris), which 'chooff-chooffs' about the Jourama Falls forest most mornings. Even quieter most days, Grey-headed Robin (Heteromyias cinereifrons). Another of the birds hiding away in the Paluma gloom. Almost always to be found somewhere in tropical rainforest, Pale-yellow Robin (Tregellasia capito). As often the case, bonus closeup of tree trunk, near Wallaman Falls. So too with female White-throated Treecreeper (Cormobates leucophaea), also close to the falls. If only more species would take to marching up well-lit trunks, though the treecreeper isn't a rainforest specialist. would be at Jourama today. and got her in the wasp family way. Female spider wasps paralyse spiders and store them in burrows, with one wasp egg. 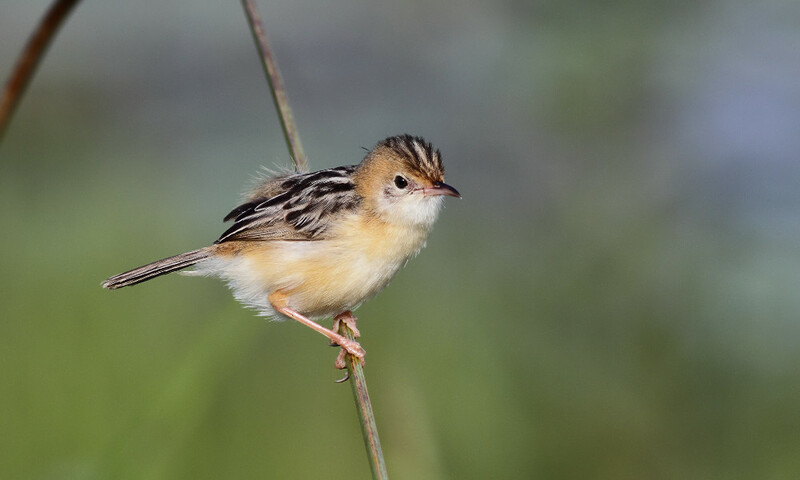 One or two more Zitting Cisticolas (Cisticola juncidis) lining up on Orient Station fences when the sun shines these days. Not often they look quite so charming as Mr Fluffy yesterday. And still greatly outnumbered by scores of Golden-headed Cisticolas (Cisticola exilis).